SIMPLY STUNNING – PICKERING BEAUTY !! JUST LISTED. CHECK IT OUT AND CALL FOR DETAILS !!! Virtual Tour of 213 Gwendolyn St, Pickering ON L1V 4P1, Canada. Posted in pickering homes for sale. Thinking of moving to pickering? Gorgeous 4 Bdrm Tribute Build Brick Family Home in North Ajax. Hardwood Floors, Stainless Steel Appliances, Crown Moulding, Eat In Kitchen, New Roof and more. Fore more information go to http://www.HouseHunting-Durham.com today before it is SOLD !!! 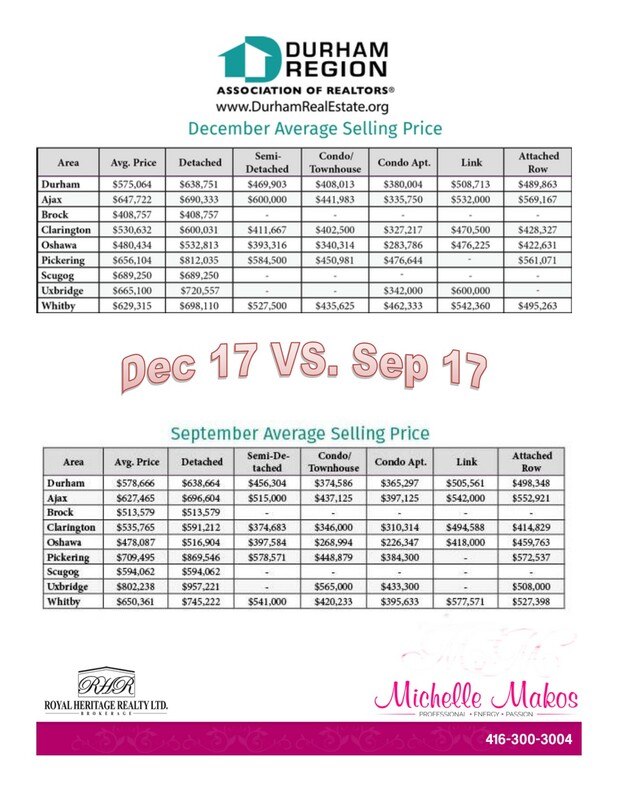 Check this out… Price differences in Pickering, Whitby and Uxbridge are quite substantial. Spacious 3 Bdrm END UNIT Freehold Townhouse. Feels Like A Semi in Desirable Greensborough Markham. An Absolute Rare Find. Wide Frontage, No Neighbours Behind, Open Concept w/9 Ft Ceilings, Hardwood Floors, Private Fenced Yard. Finished Basement/Rec Room w/Wet Bar and 3 Pc. Perfect For Relaxing or Entertaining. Close to Park, Community Centre, GO and Transit. This Home Has it All !!! New Year, New Beginnings ! I just wanted to let everyone know that I have officially resigned from Re/Max First Realty Ltd and as of December 1st, I have partnered up with some established and well respected colleagues and we are very excited and proud to have opened our own Full Service Independent Brokerage serving Durham Region and the Greater Toronto Area.Royal Heritage Realty Ltd. is a dream come true for us. There is so much we can offer, that is beyond anything the big brands can do. We will respect your business and work ever so diligently to represent you ~ whether buying or selling. My partners include; Joe Pitino (33+ years in the business with Re/Max), Paul Etherington (current President of the Toronto Real Estate Board), Randy Miller (Commercial/Residential Realtor with Re/Max) and myself. Together we bring a vast amount of knowledge from technology to long time real estate experience and commitment. We look forward to working with you and earning your business and referrals. 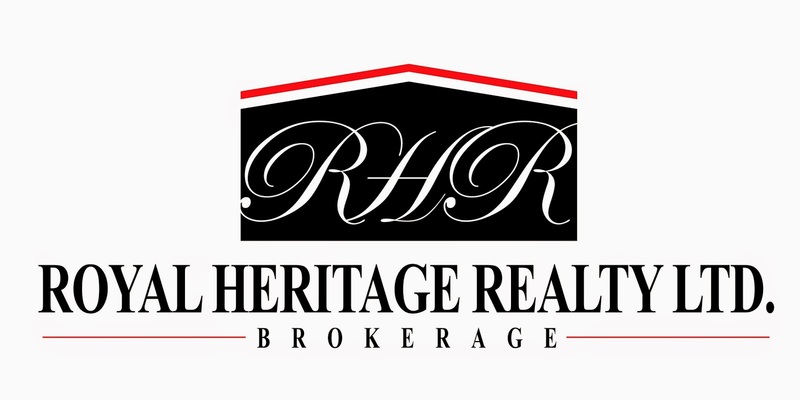 Stay tuned, lots of great information coming and if you are a Realtor looking for a new Brokerage in 2015, give us a call, we would love to speak with you. A Real Showstopper. 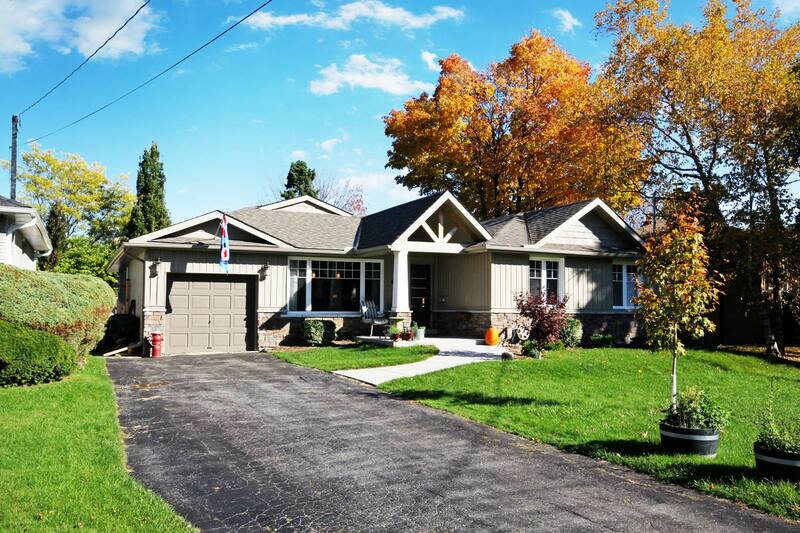 Gorgeous 4+1 Bungalow In A Sought After Rouge Community. Custom Built Kitchen W/ Granite Counters, Glass Backsplash, Hardwood, Potlights, Crown Moulding, Gas F/P. This Home Boasts Cathedral Ceilings, Huge Master Bedroom Retreat. Ultra Modern Bathrooms, Huge Windows, Natural Sunlight And Open Concept. Professionally Finished Basement With 5th Bdrm And Bathroom. Bright And Spacious Laundry Room. Outdoor Bbq/Kitchen. Private Backyard.